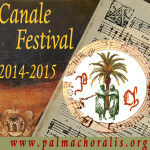 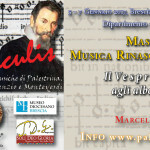 Vocal polyphony, instrumental music and solo motets by Floriano Canale and other composers from 16th-17th cent. 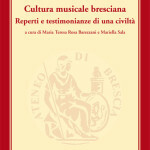 Brescia. 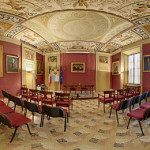 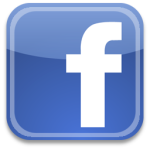 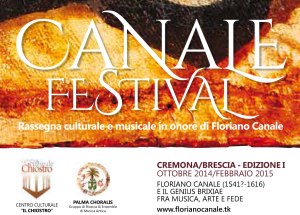 Event for the celebration ‘In Dedicatione Ecclesiae’ · Canale Festival · Rassegna culturale in onore di Floriano Canale: world premiere of vocal and instrumental music by Floriano Canale, organist and composer from Brescia.